If you want thriving gardens, now is the time to plan. And as it turns out, your garden can benefit from your eco-friendly choices. Start planning your gardens now so that they are thriving by this time next month! Soil. Healthy soil is the foundation of healthy gardens. Performing therapy on your soil now is ideal before the plants begin to fully grow back. First, you should create layers of nutrients that include compost materials, manure when possible, and organic ingredients, such as kelp. To make sure your soil contains the correct pH levels, purchase a testing kit from a local gardening center. The level should be around 6.5. If yours is too high or too low, a nursery professional can help. Seeds. Rather than wait for Mother Nature to cooperate with you, work now so that the rain has time to moisten your newly planted seeds. 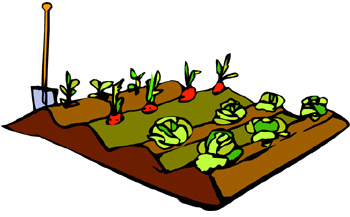 Begin growing vegetable seeds inside and replant the seedlings outside at the end of April. With annual and perennial flowers, it’s safe to begin planting those outside now. Mixture. Mixing up a garden with an assortment of plants and flowers will help retain the health of your soil. Therefore, try planting new flowering bulbs in the same garden as old perennials, try repotting annuals that seem to have made it another year, and mix in edible vegetable plants with flowering plants. Fertilizer. No matter what, avoid applying toxic chemicals on your lawn or plants that will slowly poison your nutrient-rich soil and kill the insects and microbes you need to keep your lawn healthy. Opt for slow-release organic fertilizers that will slowly release into your yard, will last all summer and will not cause damage to the natural nutrients and life found in your yard. Design. In order to obtain the highest potential from your gardens, design your outdoor oasis as if it were just one more room in your house. Add stepping stones or a gravel path through separate gardens, incorporate benches to rest on while enjoying the sights, integrate a water feature that adds soothing sounds to the ambiance and include lots of vibrant colors in the gardens to attract interest. The more time you spend in your garden, the more you’ll benefit from nature. For more insight on spring gardening, visit greenlivingideas.com. Not only will spring gardening allow your yard to look vibrant, it will also keep your air cleaner and your produce healthier. It might even lift your mood every time you look out a window.